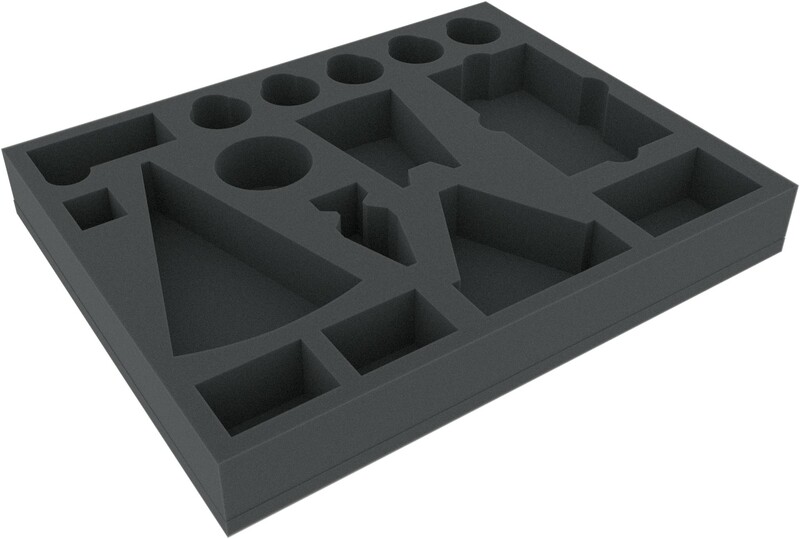 With these foam tray your Imperial units are save. 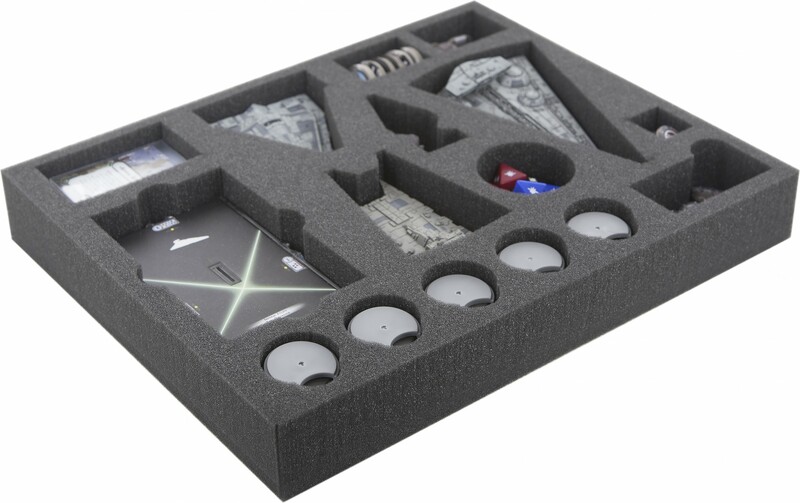 The mat fits exactly for the following miniatures and equipment: Interdictor, Gladiator-class Star Destroyer, Imperial Light Carrier, Imperial Light Cruiser, bases, cards in sleeves, token, Commando and Speed Dials as well as individually usable compartments. 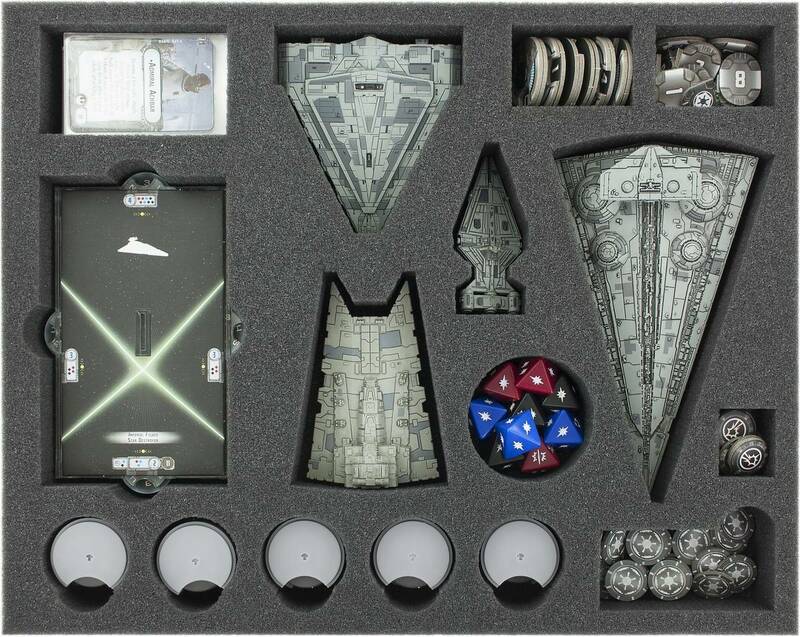 So you keep your Imperial fleet safely together.